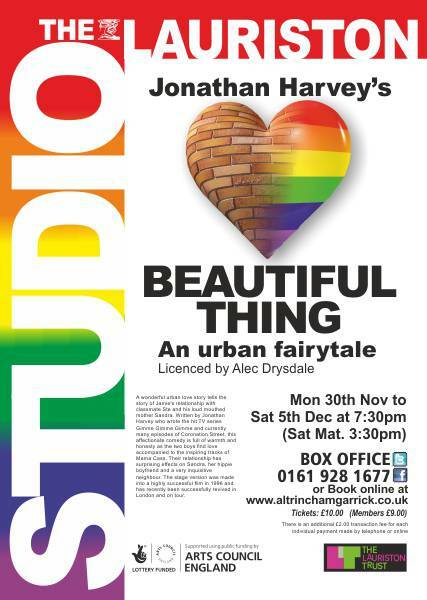 New auditions have just been announced on our website for ‘Beautiful Thing’ by Jonathan Harvey. Please see our website for how to apply. Our full season of productions is to be announced on Monday, when tickets for this show and everything else will also go on sale.